The call center industry is full of innovative solutions for a variety of challenges – from ensuring that call centers are running efficiently to more effectively using company data to gain insights into agent performance. And some solutions help guarantee that all your call center employees can do their best work and by providing them with the tools they need to do their job. One such tool is TCN’s VocalVision, which helps visually impaired call center agents shine. Visual impairments don’t have to hold employees back. Among adults who have significant vision loss, less than 40 percent are employed. The Americans with Disabilities Act also requires employers to provide a reasonable level of accommodation to employees with vision impairment and other disabilities. VocalVision ensures you are able to hire the most qualified employees. VocalVision is optimized to work with Job Access With Speech (JAWS), the most widely used screen reader. JAWS also enables users who can’t use a mouse to navigate their computer screens. Using hotkeys, users can navigate through VocalVision, and tones signal when a call has connected. Study after study shows that happy, engaged employees lead to more profitable and successful companies. Researchers found that front-line employees should be your top internal priority to help your business succeed. An Energy Project and Harvard Business Review study found that employees are most productive when their physical, emotional, mental and spiritual needs are met. Improving satisfaction in just one of those areas can have a big impact on worker satisfaction and productivity. 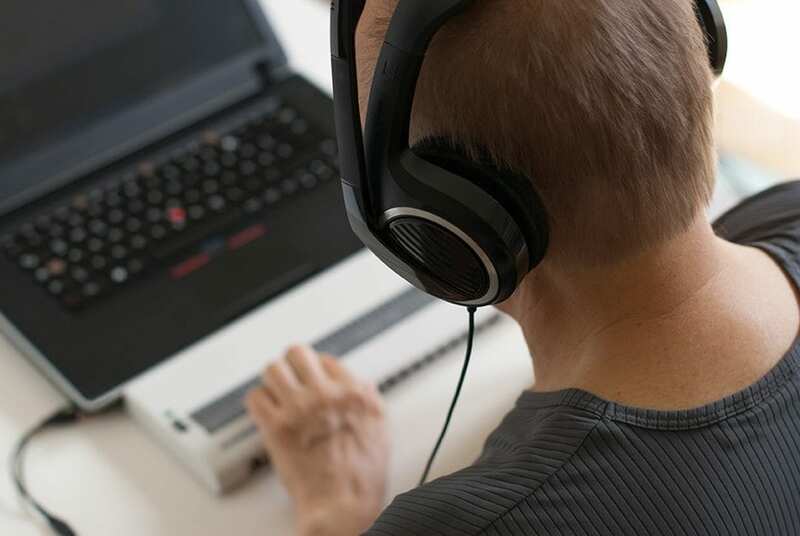 Having the right tools to suit their needs will help reduce stress among visually impaired call center agents and help them focus on their jobs. Employees who have their needs met will be both more productive and provide better customer service, making your customers happier, too. Helping your visually impaired employees navigate call center software smoothly allows them to better focus on callers. Implementing tools that help everyone on your team perform to their highest abilities can deliver benefits well beyond the employees affected. From data analysis to solutions for visually impaired agents, explore the options available to guarantee that everyone is performing their best. To learn more about TCN’s VocalVision, click here. 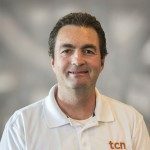 As the Vice President of Sales, Bryce Payne spearheads all global sales efforts at TCN. With more than 15 years of experience in the telecommunications industry, Bryce has significantly contributed to the companyäó»s rapid growth by successfully building partnerships across multiple industries and acquiring new customers globally. An industry veteran, Bryce holds years of experience working with a variety of phone systems and cloud-based call center technologies. Prior to joining TCN, Bryce owned and operated Nutel Wirelesss, a wireless telecommunications store, for eight years. Before that, he served as the Operations and Sales Manager with Nutel Technologies, an NEC phone systems reseller, heading up the sales department and growing its customer base. Over the years, Bryce has adopted an interest in aviation, earning his certification as a Robinson R-44 helicopter pilot. For the past 10 years, Bryce has been a helicopter pilot for the Washington County Search & Rescue in Utah and was awarded The Dedicated Member Award. Bryce earned a Bacheloräó»s degree from Brigham Young University.